Family Animated comedy from Pixar about a grouchy old man who uses helium balloons to turn his house into a flying machine. Finally able to fulfil his lifelong dream of exploring a legendary lost country in South America, he discovers he has an unwanted travelling companion on his adventure in the shape of an eight-year-old boy scout. 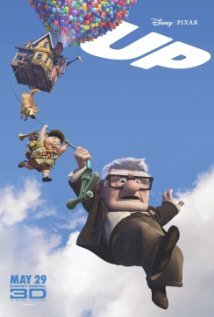 Up is not currently showing anywhere.